Preparing and cooking dinner can often be overwhelming, especially at the end of a long day. Yet, cooking a quick meal doesn’t mean you have to sacrifice taste. 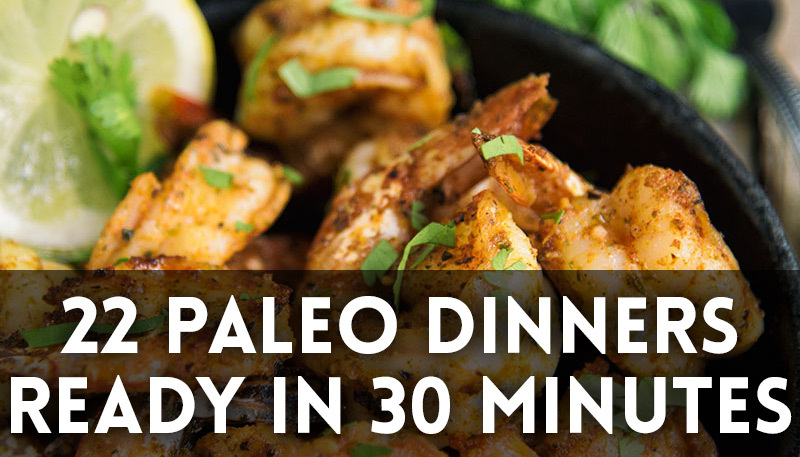 Try one of these 22 delicious Paleo recipes and have dinner on the table in less than 30 minutes! 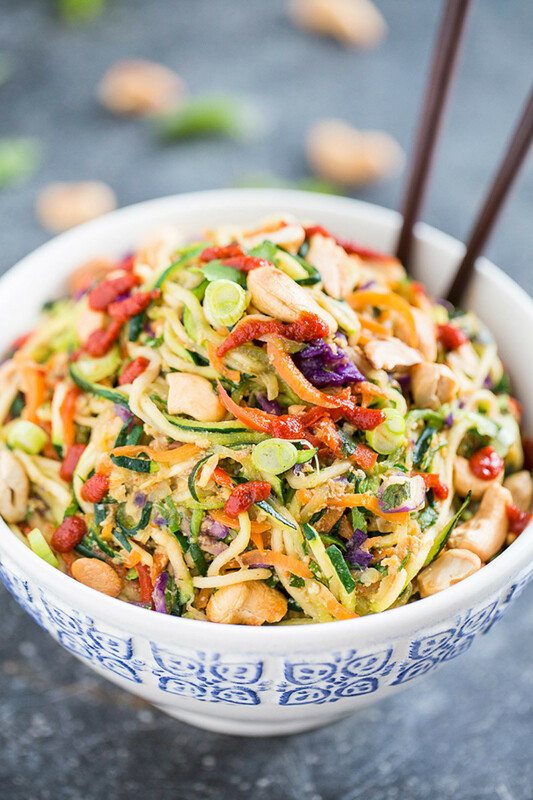 Spicy and sweet spiralized veggies topped with a sauce of sriracha and coconut sugar. 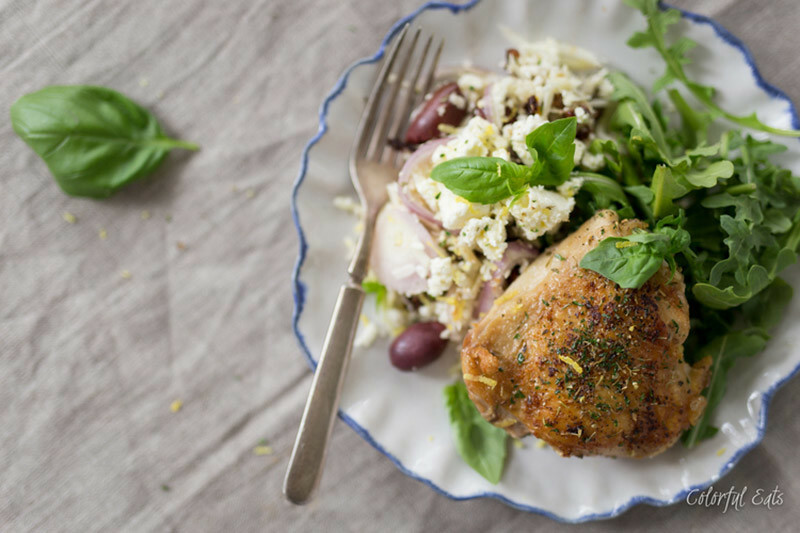 Inspired by the flavors of Greece, try this Greek-inspired chicken and cauli-bowl. 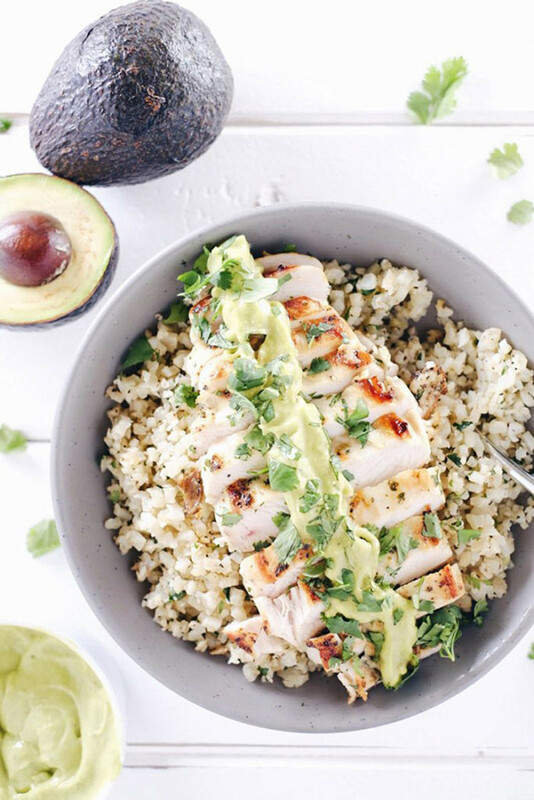 Refreshing lime and cilantro fill this chicken and cauli-rice bowl. 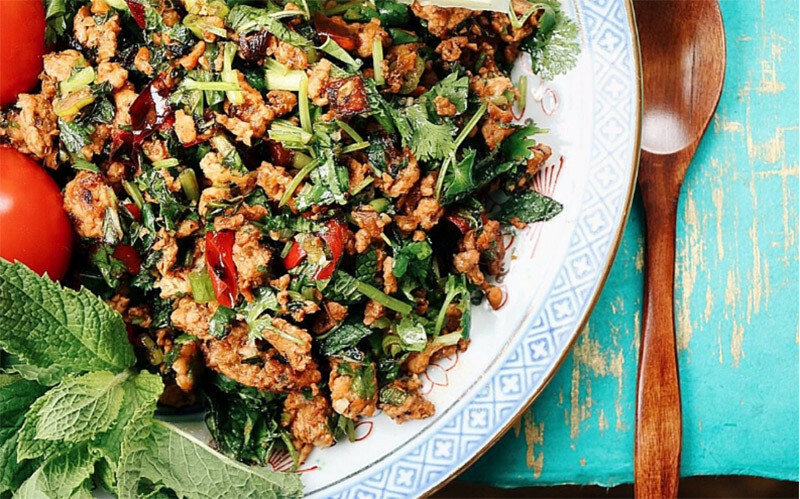 A Thai-inspired chicken dish with tons of flavor! Looking for a cool dinner dish? 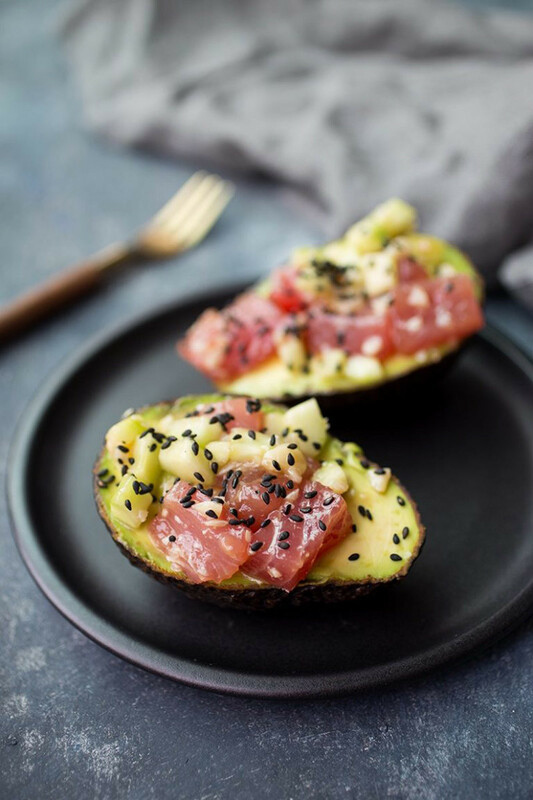 Try sushi-grade tuna in avocado boats. 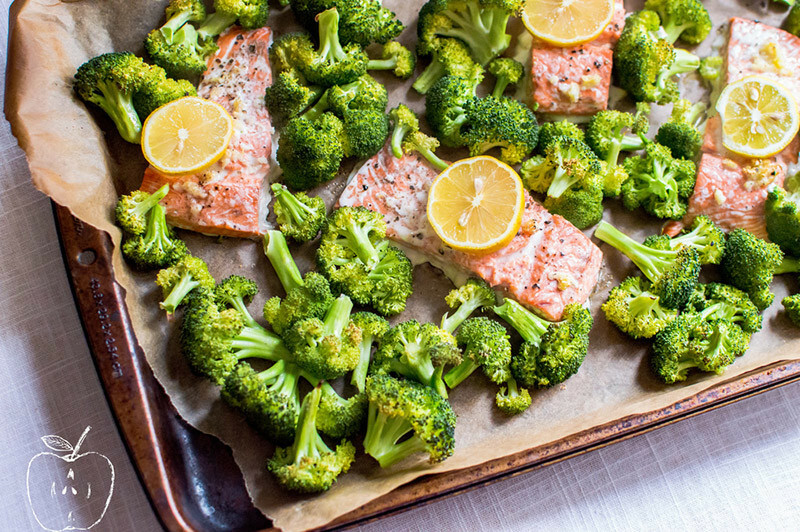 Salmon is one of the quickest and healthiest protein sources available. Give this one a shot! 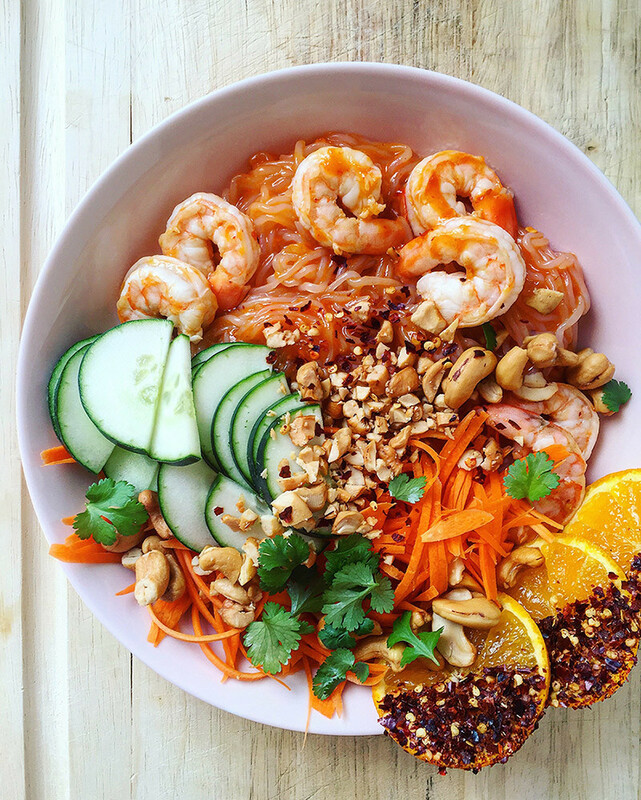 An Asian-inspired noodle dish with a sweet and spicy sauce. 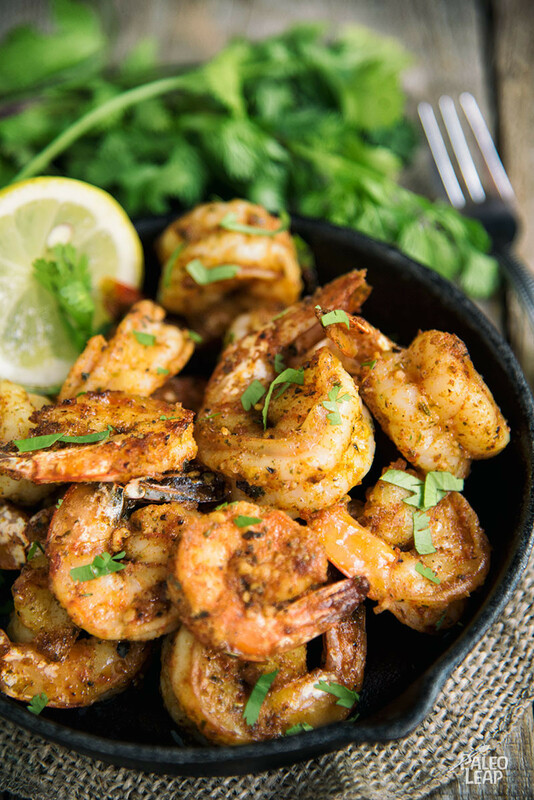 Add smoky heat to protein-packed shrimp with this Cajun-style dish! 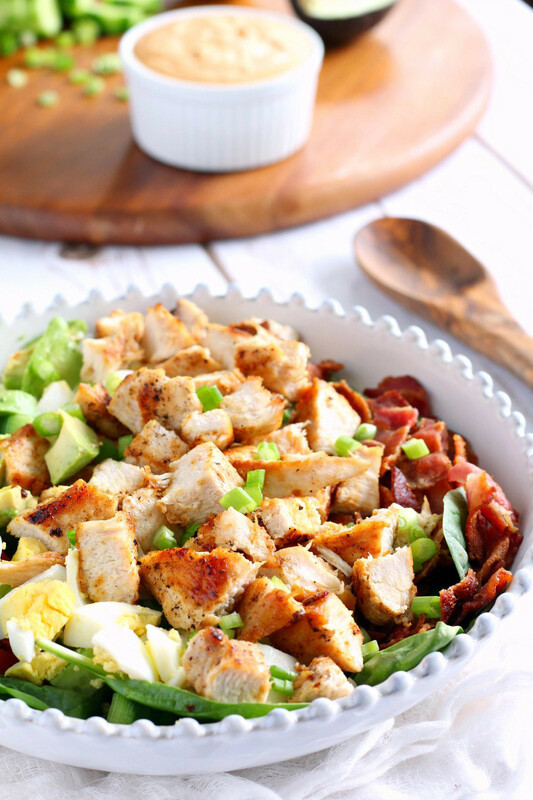 Try this chicken Cobb salad made with a creamy Buffalo salad dressing. 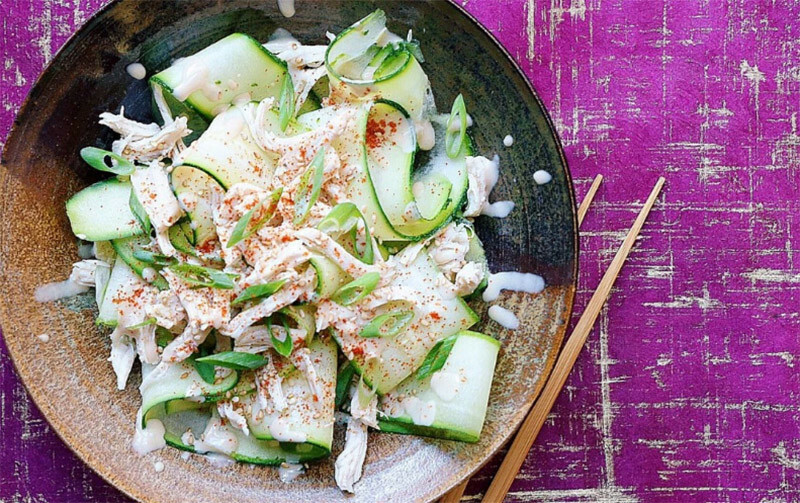 A cool plate of ribboned zucchini and shredded chicken topped with a tasty sesame sauce. 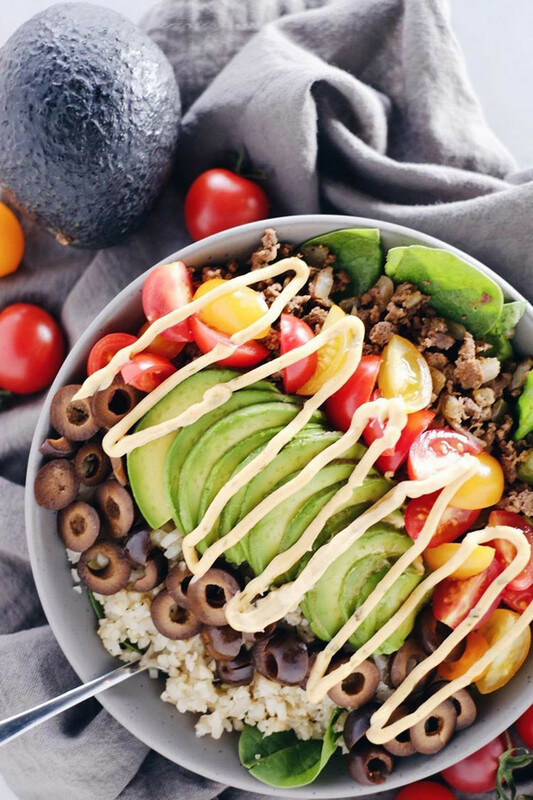 It’s a taco without a shell and ready to eat in less than 30 minutes! Have leftover shredded beef? 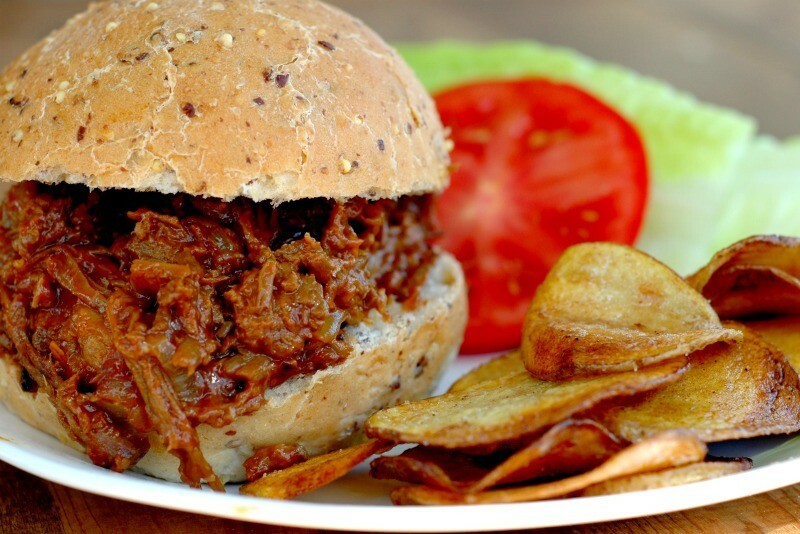 Try this homemade BBQ shredded beef burger in a grain-free bun. 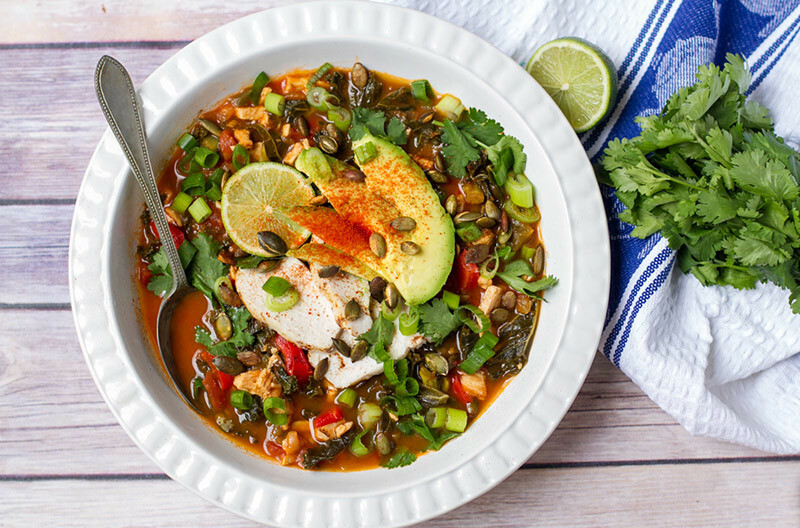 A hearty soup with a spicy, Mexican flair. 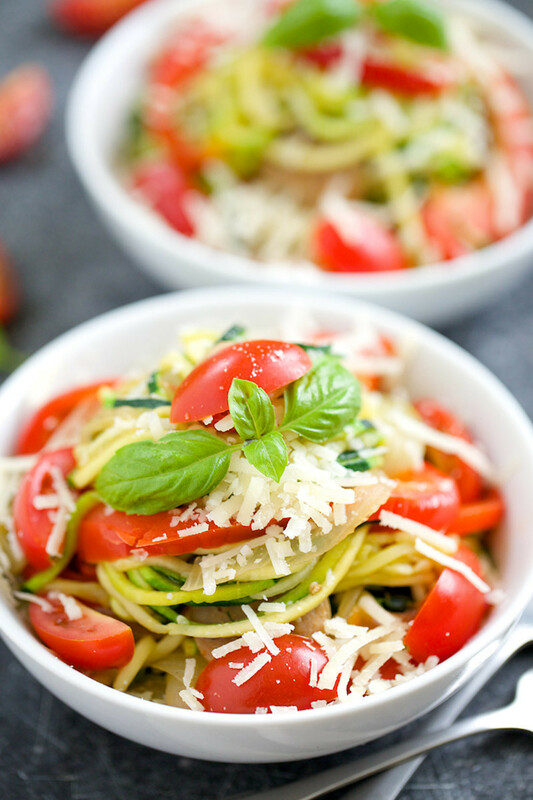 Tastes like pasta: zoodles mixed in Italian sausage and cherry tomatoes. 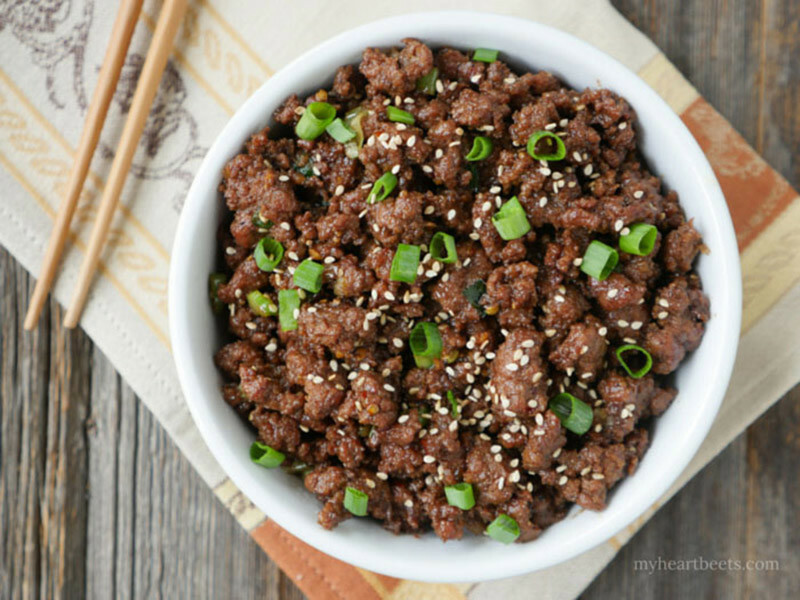 A savory and umami-flavored ground beef dish. A versatile ground beef recipe perfect for leftovers. 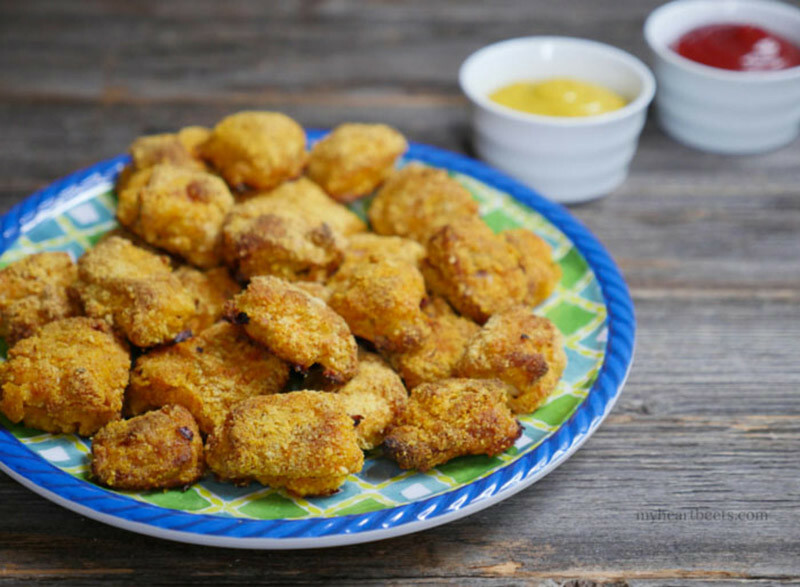 Baked chicken nuggets made with chicken thighs for flavorful, juicy bites. 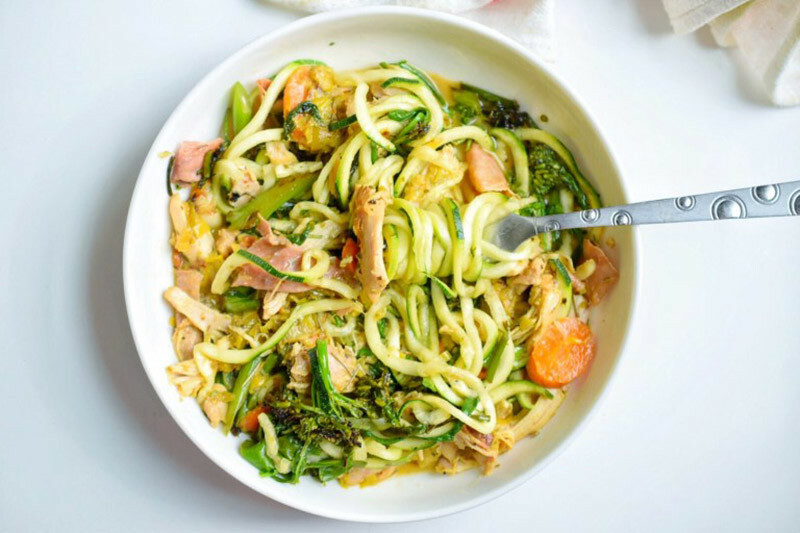 Add nutritional yeast to bring out a cheesy flavor in these zoodles with chicken. 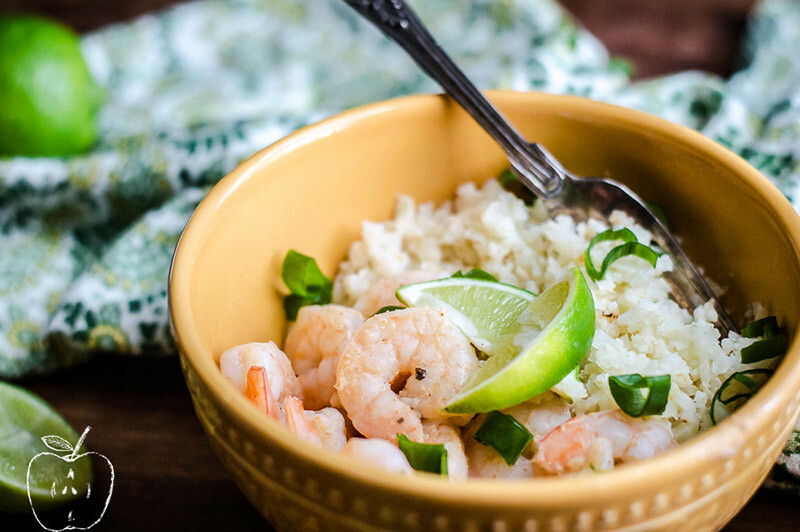 A bowl of zesty and flavorful shrimp and cauliflower rice! Need a quick dinner? 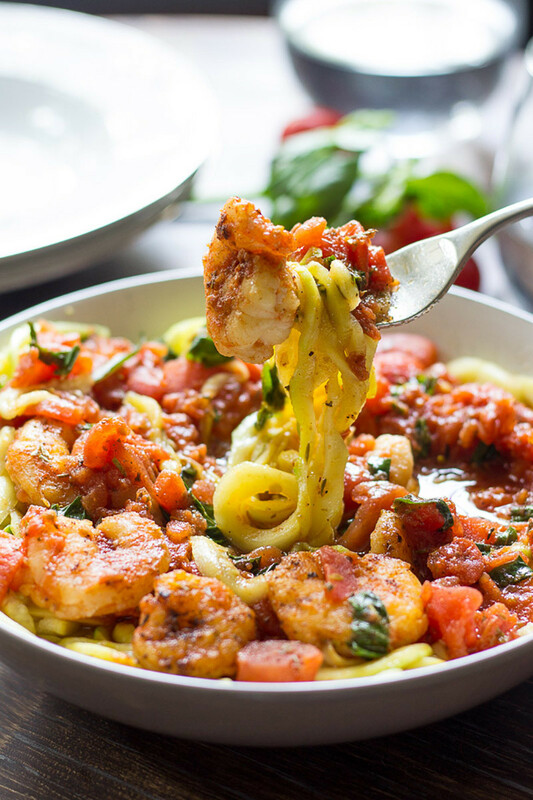 Make this spicy shrimp marinara made with zoodles. 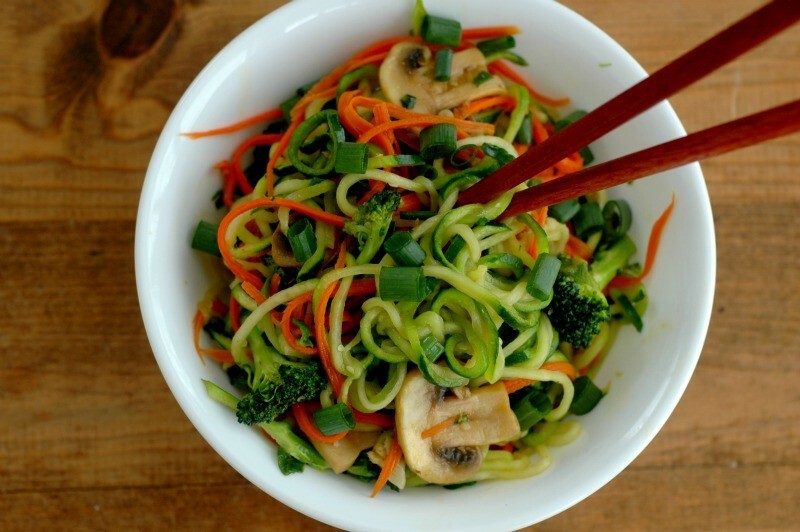 Love lo mein? 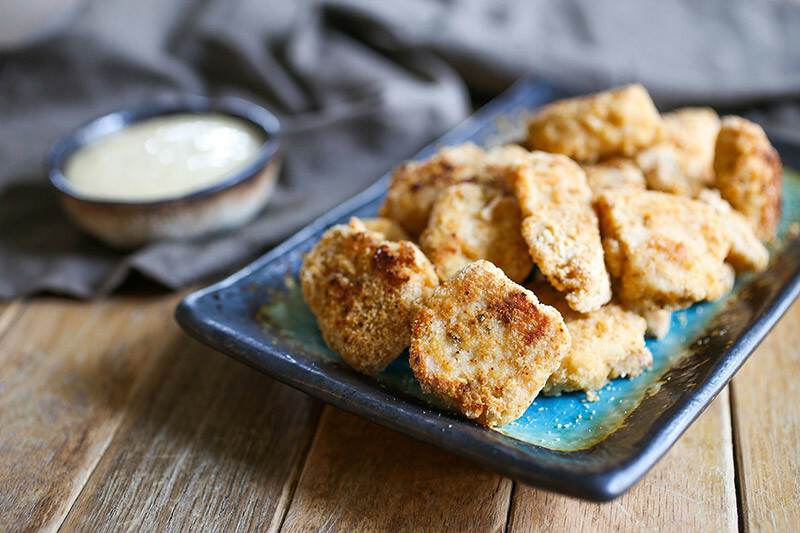 Make this dish and add chicken or beef! 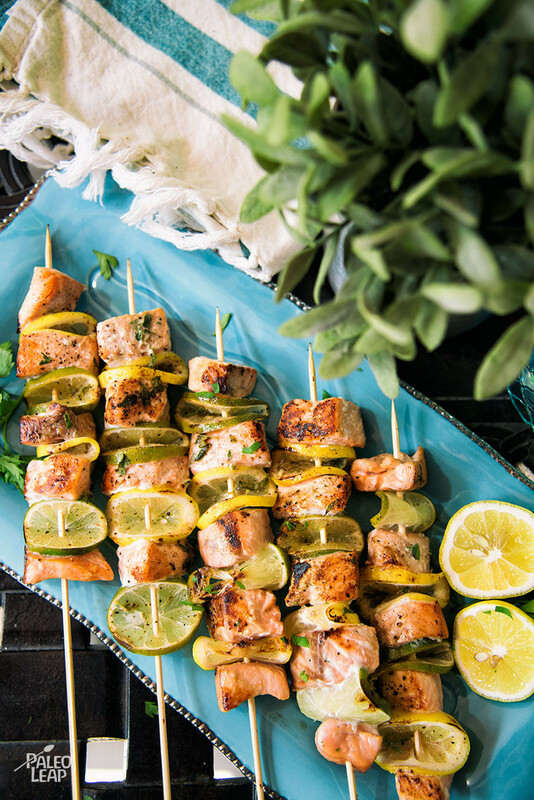 Zesty salmon skewers grilled with slices of lemon, lime and dusted with fresh herbs and spices.